A month ago I wrote about TypingDNA, a research startup from Romania that develops AI-powered user authentification technologies based on typing patterns. 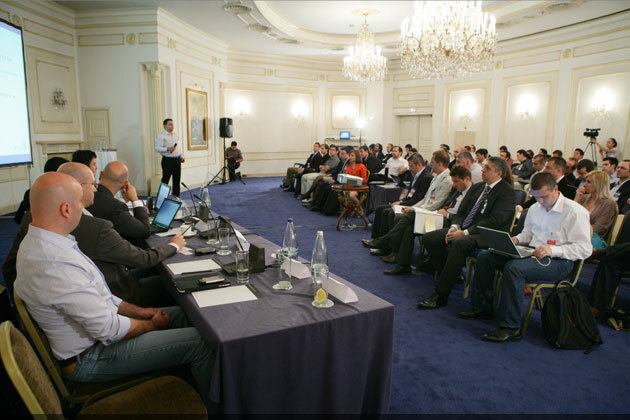 Last week TypingDNA announced a seed round lead by Gecad Ventures with participation from local angel investors. The startup expects to raise the next round in about 12 months, maybe less if things go extremely well, said the CEO Raul Popa in our exchange. The field of cyber security, and in particular behavioral biometrics, is on the rise and is projected to attain $800M by 2020. TypingDNA is one of the few tech companies in this area, and their goal is to make this technology available to every developer who wants to add extra security level to their apps. Apart from app developers, e-learning, e-banking, and corporate platforms are interested in integrating the technology. The fact that Gecad Ventures , a Bucharest-based venture fund led by Radu Georgescu, chose to invest into the team means a lot. Mr. Georgescu is a serial entrepreneur with incomparable business acumen and exits to Microsoft, Naspers, Francisco Partners. 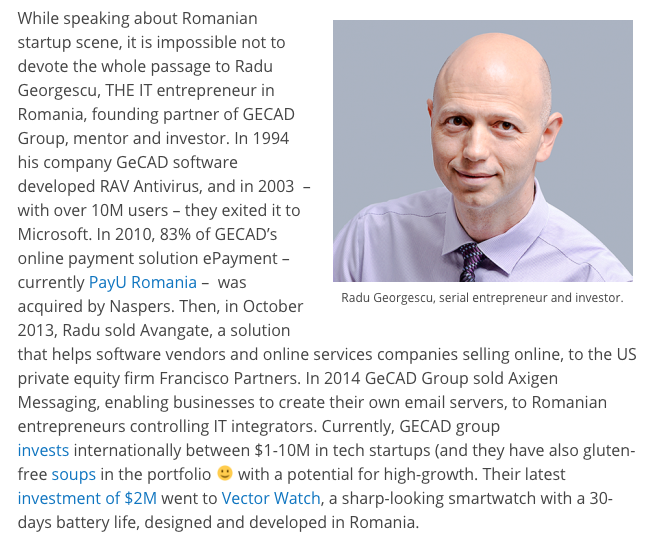 Excerpt from GoalEurope’s article on Romanian startup ecosystem. TypingDNA will use the money to hire new employees, develop the platform and start off marketing efforts.